Pop culture rarely teaches us anything, especially not about business. But because 2014 was a pretty eventful year, we actually took away some valuable marketing lessons from a few celebs. 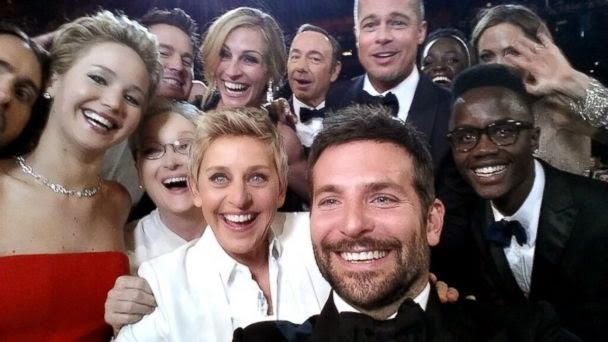 At the 2014 Oscars, Ellen DeGeneres took one of the most star-studded selfies of all time, and it crashed Twitter by being the most retweeted photo of all time (over 3 million retweets to date). It’s one of the most epic selfies the Internet has ever seen and it is the epitome of buzz marketing. To get people talking about your brand, you have to do something that’s going to grab lots of attention (in a good way). Try surprising customers every now and then by going above and beyond with your customer service. You’ll strengthen customer loyalty while also increasing your brand awareness. John Travolta learned the hard way that if you mispronounce something, it’s going to haunt you for the rest of your life. When he accidentally pronounced Idina Menzel’s name as “Adele Dazeem,” he instantly opened himself to a barrage of criticism. You’d think he would be told beforehand who he was introducing, which meant he should have known how to say her name. If you’re going to talk about a topic (or person) you don’t know very well, experts will recognize blunders and may call you out on them. Be sure to do heavy research on a topic and become proficient before you relay information about it. It will give your consumers a sense of security knowing your brand is competent and will, in turn, enhance the perception of your brand. How cute is this picture of Patrick Stewart and Ian McKellen (Charles Xavier and Magneto)? Everyone loves seeing two big names do BFF things in real life (especially if they’re on-screen mutant enemies). A partnership always garners attention. When you pair your brand with another well-liked brand, you promote each other to different but similar consumers and broaden your target audience. Expanding your reach will help grow your consumer base and therefore provide more revenue. What else happened in 2014 that taught you a lesson about marketing? Let us know in the comments!